So it’s come to a point where I think that Railgun S does such a better job of presenting the Sisters Arc, that I might start to recommend people to watch this series before Index I. In fact, maybe you don’t even have to watch the arc in Index at all. The way it’s presented in Railgun S is just that much better and just that good overall. All of the characters, especially Misaka, are much more fleshed out in this new season and it’s been a great experience watching the entire arc. 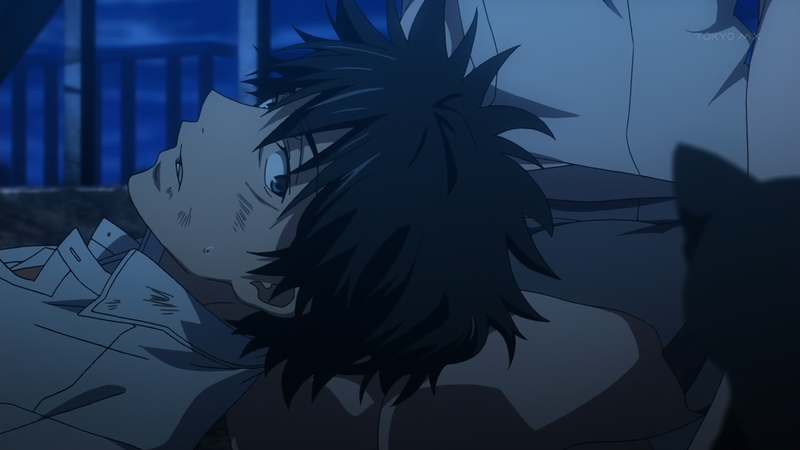 After some crafty breaking and entering, Touma finds himself in Misaka’s dorm room. And by breaking and entering, I mean that Kuroko lets him in. At this point, he discovers documents that detail the Level 6 Shift project and puts the pieces of the puzzle together. Figuring that Misaka must have known about the clones all along, he goes out and finds her on a bridge. The entire bridge scene was incredibly well done and is fairly different from the first time around. 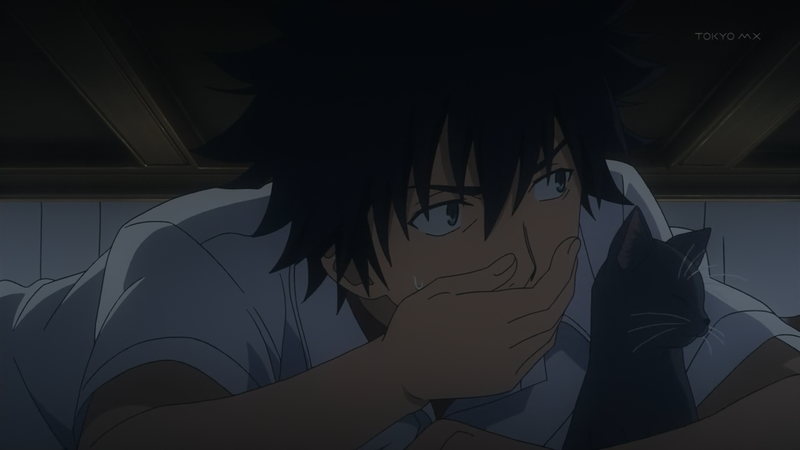 In Index, the confrontation between Touma and Misaka came off as a bit awkward and cheesy. It was a typical shounen moment where the male protagonist’s steadfastness is put to the test. The only problem is that this pretty much happens every episode, so it’s nothing really special or emotional about it. However, that’s all different in Railgun S. Thanks to better animation, an emotive soundtrack, and more lines for both of the characters, the entire scene has a different color to it. Now, it gets across the emotions that it tried to before: helplessness, grief, and sorrow from Misaka and the calm, selfless determination from Touma. I’d also like to bring attention to Rina Satou, Misaka’s seiyuu, who adds an incredible depth of emotion to the performance of her character. 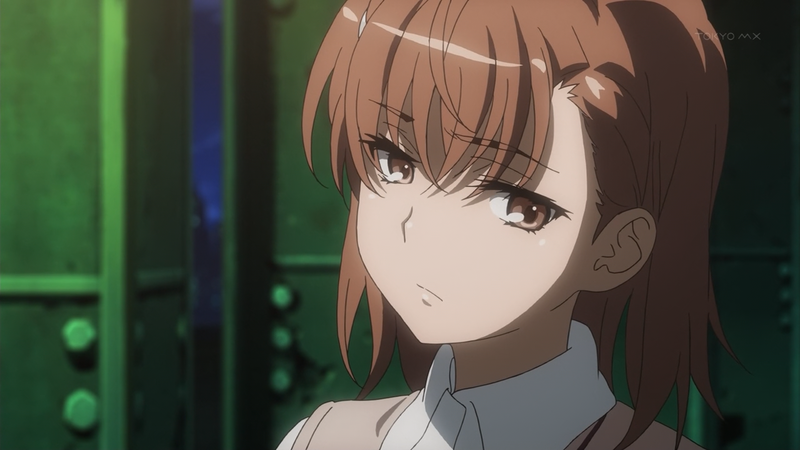 I love how we get to hear Misaka’s inner dialogue during the bridge confrontation, as it shows how truly conflicted her mind is. This is also evidenced by how she doesn’t actually kill Touma or the cat with her electricity. Next week, it’s the fated showdown with Accelerator! I can’t wait to see how J.C. Staff will change things up this time around. You’re right, but I think for the sake of the SIsters Arc, I would say that understanding the entirety of Misaka’s struggle is more important to the plot than knowing more about Touma’s character. Plus, the presentation in Railgun S is just so much better. Hm, maybe a compromise would be to watch the first 9 episodes of Index I up until the Sisters Arc and then all of Railgun S.